Panama is one of the most developed countries in Central America. It is a popular destination for tourists, retirees and foreign investors. 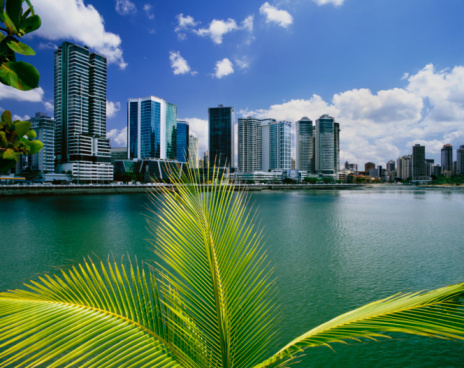 The government of Panama has already passed nearly forty laws in order to protect the rights of foreign investors and make the investment climate better. According to the Investment Stability Law, national and foreign investors are guaranteed equal rights. Although Panama law is foreigner-friendly, when it comes to foreign ownership, there are certain restrictions. • According to the Constitution of Panama, a foreigner cannot buy property within 6.2 miles of the border. • The untitled land has to be owned by a Panamanian citizen for at least 2 years before a foreigner can buy it. After this period, the property will be titled and sold. Some land cannot be titled (ever), and it is very important to get some good advice from a professional, before you decide to buy any land. • There are other restrictions related to foreign ownership of island properties and waterfront. However, these restrictions can be avoided by investing in the tourism zone. Building over water will also require a special permit and concessions from the Ministry of Finance and the marine authorities. The most common option is to buy property as an individual. This is usually done when someone wants to buy small property. Buying property through a corporation founded in Panama is a good way to buy large property. It is not necessary to use the “corporation method”, but in case of any disputes, this will make things easier. It is not difficult to set up a Panamanian corporation, and the entire process does not cost too much. First, make sure your attorney speaks English! It is very important that you understand everything, and you attorney should be able to tell you everything you need to know. The owner of the property has to provide copies of several important documents. The most important ones are the Ownership Certificate and “escritura” (property title deed). Your lawyer will take these documents and see if they are valid. The property number is also used for the same purpose. In some areas of the country, it is impossible to get a clear title. Private ownership isn’t allowed in areas like San Blas. Some people have tried to do business with the locals, but unsuccessfully. Bocas del Toro properties belong to the Government, and it is almost impossible to buy property there. If the title turns out to be in order, you will set the transfer date in an agreement (this phase is called “promise to buy”). Transfer taxes will be paid by the seller, who will also get certificates needed for transfer. After this, the final contract will be made by your lawyer. The deed will be signed by a notary. It is necessary to record the purchase at the public registry. This may take several weeks, but if the documents are filed at the Panama City Public Registry, the process will last shorter.